Fergal Mullins is a solicitor on the healthcare team at Hayes Solicitors. He primarily advises clinical practitioners, hospitals and indemnity bodies on the defence of clinical negligence claims. 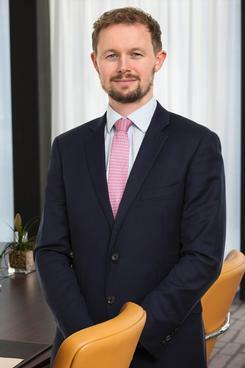 Prior to joining Hayes, Fergal worked in a London firm in the area of clinical negligence, having trained and worked post qualification in a large Dublin firm in the same area. Fergal has experience arising from a broad spectrum of dental and medical scenarios, including orthopaedic injuries, gynaecological injuries and periodontal disease. These clinical negligence claims involve detailed liability and quantum investigation and analysis. Several of Fergal’s cases involve allegations of negligence against dental practitioners. Common issues include informed consent, record keeping & cosmetic dentistry.